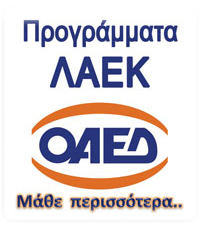 The Hellenic Welding Association (HWA) is a private organization, which was established with a view to Knowhow transfer through the provision of top level services conveying Knowledge in the sector of welding and cutting. The immediate target of HWA is the provision of high quality training which either lead to the acquisition of internationally recognized diplomas which give access to the world market or is adjusted to specific needs of the market and help dealing with welding related problems. HWA this year started a series of training programs on welding technology. These programs last 20-40 hours and involve theoretical and practical training in various welding processes and welding positions. The classes are of 6-8 people and the lessons are held in the premises of HWA Monday to Friday 17:00-21:00. The international training and certification system for the personnel related to welding (from welding coordinator to welder) is implemented from the International Institute of Welding and the European Welding Federation since 1998 and sets the qualification level of the personnel in the welding sector. It is supported by the European and global industry and is recognized internationally from all the accreditation and construction inspection organizations.